With real estate prices on the rise, many of us are opting to downsize our homes so we can upsize our lifestyles. The minimalist approach is gaining ground as we seek to be less wasteful, investing in fewer, higher quality items and focusing on essential pieces. At the same time, home entertainment is evolving as streaming entertainment and gaming grows in popularity. And the home theatre style is still popular, as demand for advanced TV displays continues to grow. 1. Furniture scale is critical, as is furniture placement. For a small room, look for sofas and seating that have a narrower depth, which provide comfort while taking up less floor space. 2. Pick items that do double duty. A padded bench or ottoman rather than a coffee table serves as additional seating in a pinch. 3. Make sure the TV screen size is appropriate for the room. If you’re sitting on your sofa, go for one that takes up 40 to 50 per cent of your field of vision. The larger the screen, the better the quality should be. Try the LG OLED TV, which is the most advanced TV display technology on the market today, offering over a billion colours and perfect black for life-like picture. 4. When designing your entertainment space, screen size isn’t the only thing that needs to be considered. 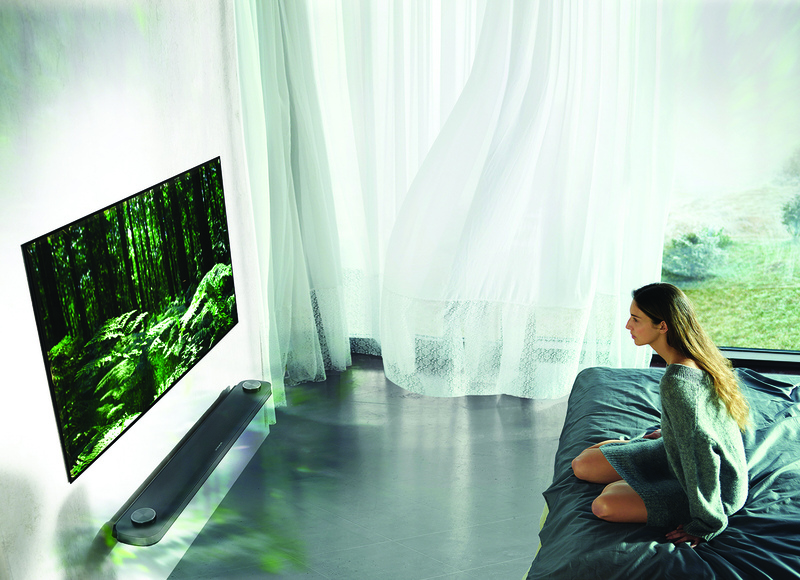 When it comes to the TV, the thinner the better. LG OLED screens are as thin as four stacked credit cards, which means the screen is unobtrusive and attractive, seamlessly fitting in to any decor. 5. When it comes to storage cabinets, a wide cabinet with a narrow depth pushed against a wall makes for a good TV stand and doesn’t take over the room. A few carefully chosen pieces work better than trying to fit too much into a room.